There is nothing better than making homemade gifts. My husband and I have received multiple homemade gifts from our kids and they each carry sentimental value. I’m not saying that gifts they’ve purchased for us are meaningless. We just really love homemade gifts. 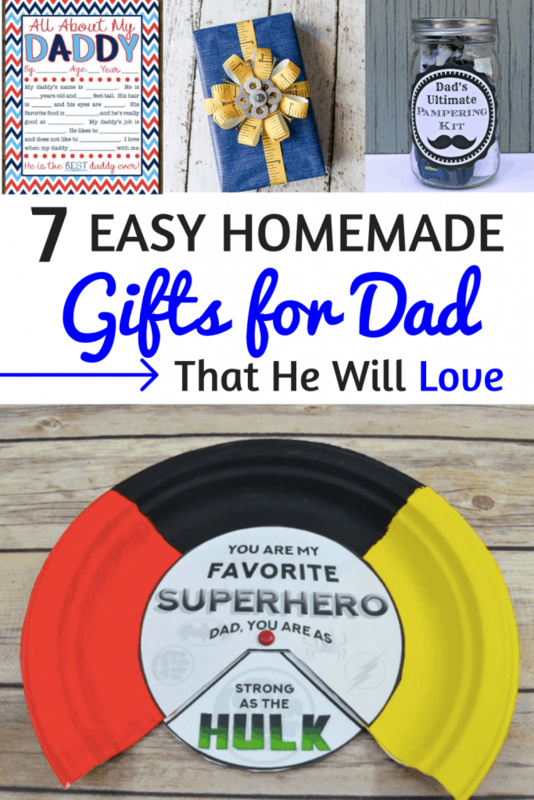 This post specifically focuses on homemade gifts for dads. I created a separate post for homemade gifts for mom if you want to check that out. 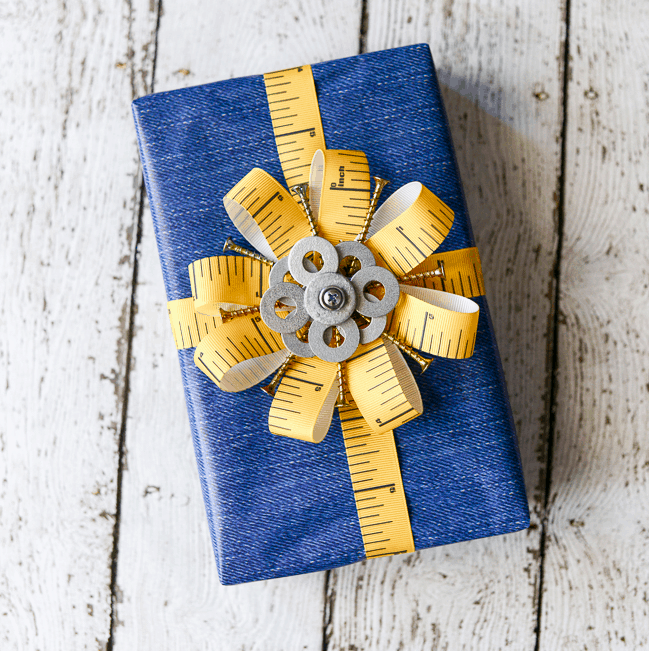 There are multiple occasions throughout the year that you can make homemade gifts for dad. Whether you’re looking for birthday gifts for dad, Christmas gifts for dad or Father’s Day gifts for dad, these gifts ideas will make the day special. What is Considered a Homemade Gift for Dad? A homemade gift for dad is a gift that you make yourself. It can be something that you color, paint, or even design yourself. 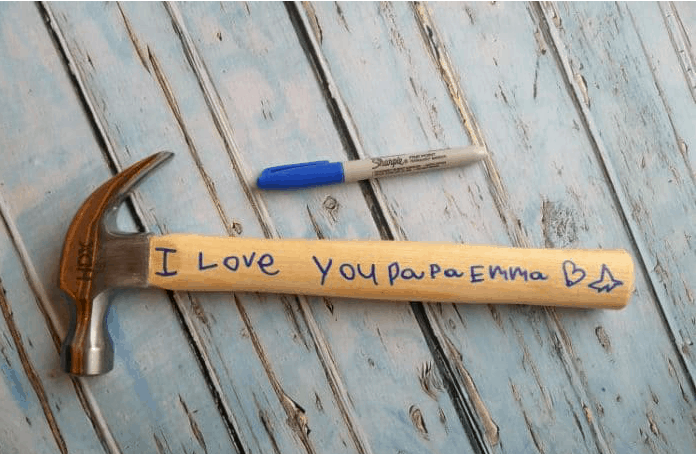 Homemade gifts for dad are not only less expensive but they are usually more special because of the special time and personalization they require. 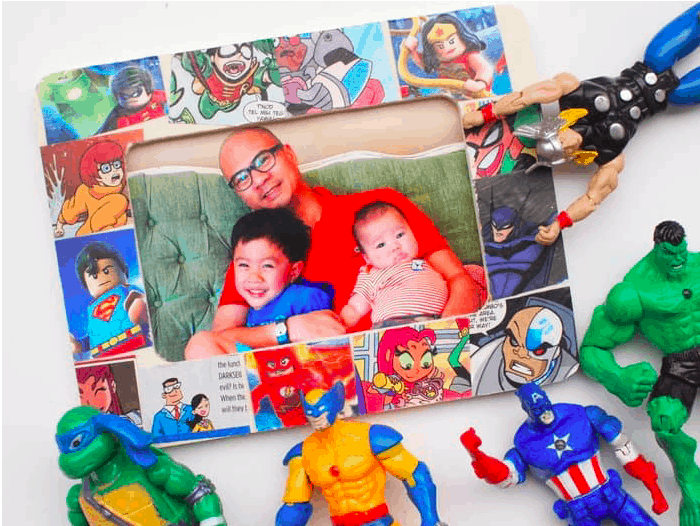 Here are 7 homemade gift ideas for dad that are budget friendly. I rounded up these homemade gift ideas from some great and talented bloggers. These gift ideas for dad are simple and easy for anyone to make. They are especially great gifts for dad who has everything. This is a unique gift for dad that is totally free to print. My kids made my husband something similar when they were younger and he loves looking back at it. It’s a great gift for dad that he’ll never forget. Here’s another unique gift idea that is budget-friendly and easy to make. There’s only a handful of supplies you’ll need to complete this great gift idea. This gift idea for dad is super easy. My kids made my husband a BBQ spatula like this and it was a huge hit. To make the writing more permanent, you can use a wood burner. Make sure to check out the tutorial on how to do that. Does your hubby wear a tie to work? This gift for dad isn’t something you see very often. 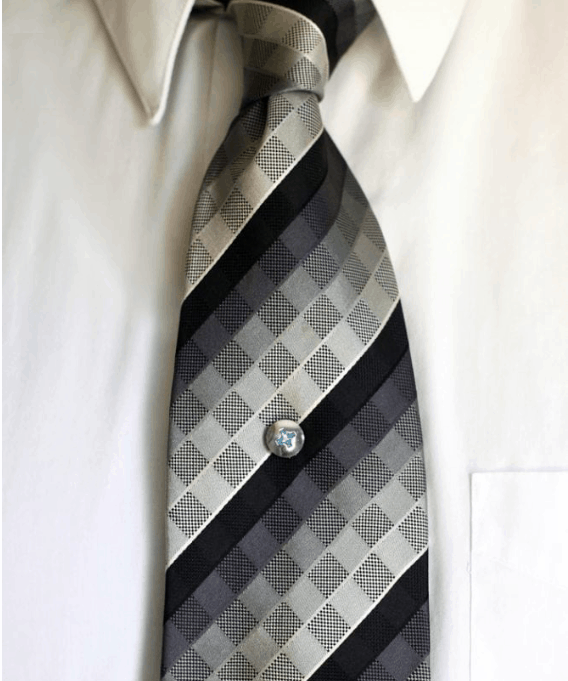 I’ve never thought about using a screw for a tie tack. 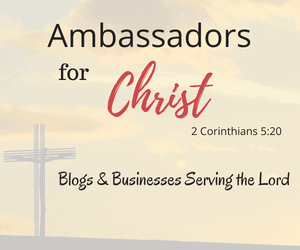 Don’t miss out on this great gift idea! This gift idea for dad can be customized however you want. The printable label is free and fits any gift theme. You can fill it with things that would be considered pampering in your personal situation. 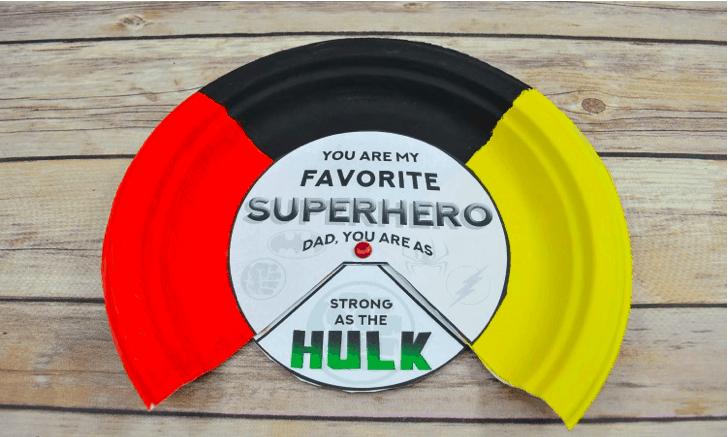 This paper plate gift idea for dad is a cute way of showing dad that he is a superhero. You may need to supervise your child depending on their age. Do you have comic books laying around? 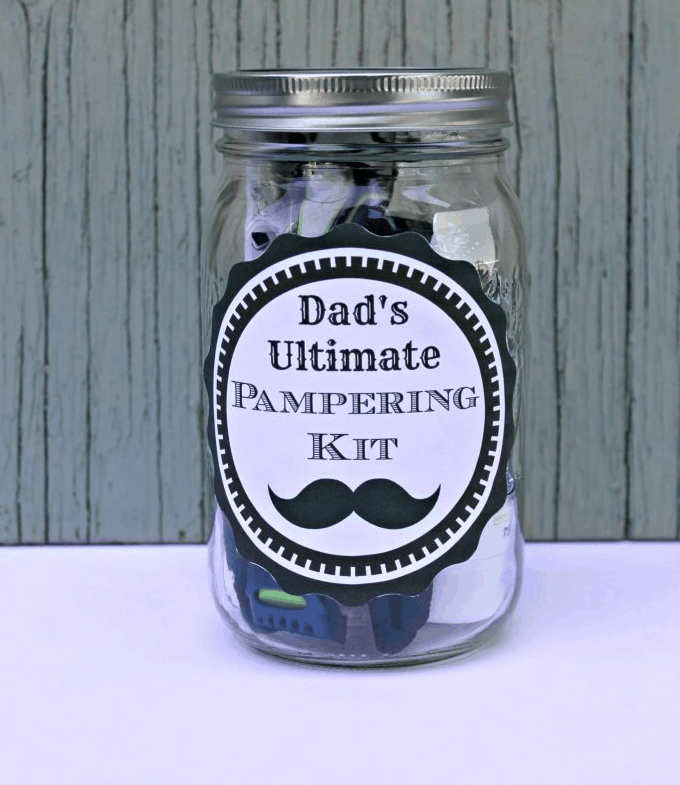 This unique gift for dad is easy and budget friendly. Adding a picture of dad and the kids makes this so personal and sentimental. I love gifts with pictures! These are my favorite homemade gifts for dad. I hope these gifts ideas for dad are helpful. Just click on the gifts you want to make and it will take you to directly to the instructions on how to make them. I get frustrated when I find a pin on Pinterest with a gift idea and there are no instructions on how to make it. These all have instructions and pictures and/or videos on how to make the homemade gift. What kinds of gifts do you like to receive?